Splatoon 2 players are in for some decadently spooky treats with the introduction of the latest game event: Splatoween! Inklings and Octolings are invited to share in on the fun with the latest Halloween-based event, which isn't a Splatfest this time around, but a fun little celebration that brings together fans and squids with plenty of lots of fun headgear to celebrate the season. 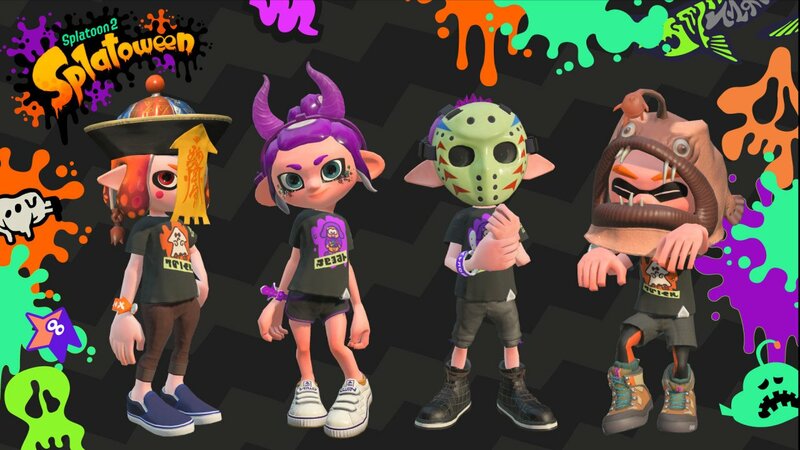 You can follow the Squid Research Lab Report News Channel on the Nintendo Switch to check out all the details, or the official Splatoon 2 Tumblr for full details, but the main takeaways are the fact that you can pick up the Kyonshi Hat, Li'l Devil Horns, Hockey Mask, and the Anglerfish Mask to get ready for the spooky Halloween season. 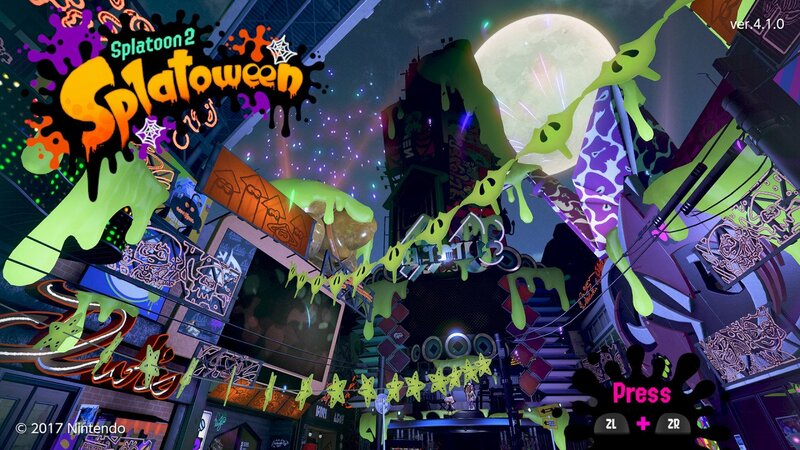 In addition, Inkopolis Square will be getting a special Splatoween makeover to look much more festive and as part of the season. There will be Halloween-themed graffiti in the battle stages, too. If you're interested in grabbing these goodies for yourself, make sure you check into Splatoon 2 this month to see everything that's on offer. It's going to be a squidtastic time!